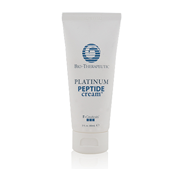 Contains palmitoyl tripeptide-28, which improves elasticity & firmness and serves as an anti-inflammatory. 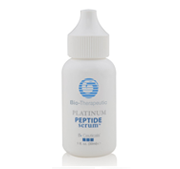 Palmitoyl oligopeptide stimulates collagen, elastin and glycosaminoglycans production which further improves skin firming and decreases appearance of wrinkle depth. 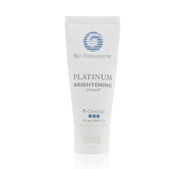 Also contains cassis alata plant to prevent photo-aging by providing provide a natural protection against UV damage. Available in 30ml. 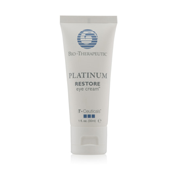 Contains soy phospholipids, which improves elastosis and Increases collagen & elastin production. Rich in amino acids, chlorella vulgaris reduces glycation and maintains elasticity in the skin by protecting collagen and elastin fibers. Also contains sea whip which reduces inflammation and redness, and contributes toward cellular repair. Excellent for calming and soothing hypersensitive skin. Available in 60ml. A powerful serum concentrate that contains acetyl octapeptide peptide-3, to reduce the depth of wrinkles on the face caused by the contraction of muscles and facial expression, especially in the forehead and around the eyes. 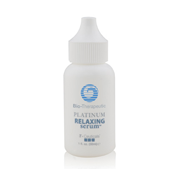 Additional ingredients Include sodium hyaluronate for hydration and allantoin and aloe for soothing and calming. Available in 30ml. Rich in amino acids to maintain elasticity, and Sea Whip to reduces inflammation and redness. Excellent for calming and soothing hypersensitive skin. Available in 30ml. This luxurious cream is formulated for normal to dry skin with hyperpigmentation to provide all over brightening and hydration to leave skin bright, plump, and radiant.